Eventually children will want to play football, handball, tennis, etc. That’s important as well as desirable from our point of view. The sports specific programmes are about the „soft“ transition from the central principle of versatility to an age appropriate conveyance of basic techniques and basic tactics of the particular sports games. In the sports games directed programmes there is a first partial specialisation of the children. Depending on talent and interest, the children will play either Ballschule setback games, priority with bats in their hands, Ballschule throwing games using their hands and Ballschule goal kick games using foot and bat. In the Ballschule children will learn the ABC of playing. Just like the knowledge of letters is the requirement for learning to read and write, the modules A, B and C are the foundation for a successful participation in lots of different great sports games and small game forms. Furthermore there are additional programmes for children with ADHD, overweight or physical disabilities as well as a programme for especially gifted children. 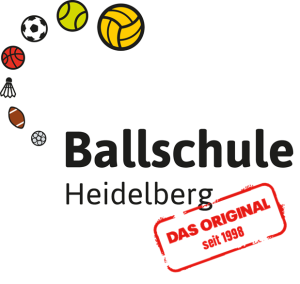 The Miniballschule guarantees a motivated and joyful start into the career of ball games. Based on the age-related motor abilities and repertoire the children will learn how to handle different game material and balls in clever and creative ways. The turnouts for the development of children are set in the first months of their lives, which also applies to the motor skills. In the Babyballschule infants can collect first experiences in landscapes made of equipment and balls, according to their level of development. By doing that they improve their perceptive and movement-related basic competences. The Ballschule applies to children beginning at the age of 18 months until the end of primary school. In their childhood decisive courses will be set – especially in the motor development – regarding how much they are going to use their talents, if and how they are going to conquer their environment and master their life with curiosity and the urge to move. The adolescents shape their own learning process from the outset, especially in exchange with other people, who give them security and trust while ensuring challenging impulses. „The child“ – as Maria Montessori (1870-1952) once expressed – „is his own builder“. The Ballschule stands for this concept. 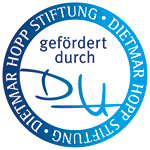 It was first implemented in primary schools and associations under the name of Ballschule Heidelberg and since 2006 there are programmes for groups of babies/infants available as well. Our team offers a comprehensive course offer for children of different age groups as well as game festivals and holiday camps. Trainers, teachers and pedagogues can acquire the required knowledge for an adequate children’s sports offer in our qualified education and training. For clubs, associations and commercial sports providers there is the possibility to officially cooperate with the Ballschule Heidelberg.